In every traditions and cultures, there is one thing in common. That is almost all social event offers food in the celebrations. 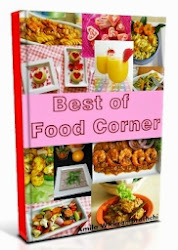 These can be the events such as birthdays, anniversaries, and weddings where food plays an important part of the celebration. 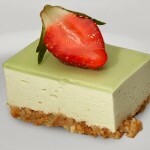 Nowadays, the wedding cake is an important and a must have item in a wedding. 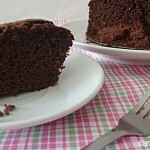 Do you know that sometimes it is considered as bad luck not to have a piece of the wedding cake? Usually People come to a wedding to eat, drink and greet to the newly wedded couple. 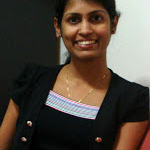 Preparation for this day is a lot more work involved and stressful task for any couple. However, these days it is easy to get someone to do the organizing of the event. Sometimes wedding cake is like the focal point of the event. Therefore choosing a wedding cake is quite a big task. Traditionally a wedding cake is a white cake with white frosting. 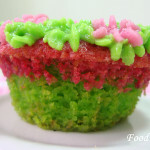 However nowadays, couples are choosing their favorite flavor and even there are different colour wedding cakes available. 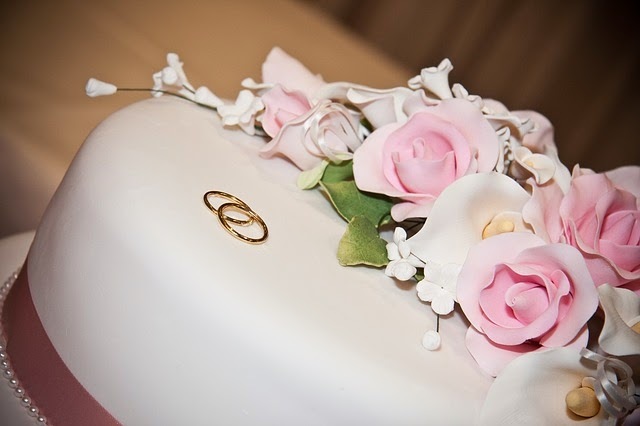 You’ll be able to find wedding cakes with different flavours such as chocolate wedding cakes, fruit flavoured wedding cakes, yellow, pound, marble etc. Below are some ideas for a wedding cake if you look for fabulous and stunning wedding cake ideas.I found these ideas while browsing internet and really loved these designs.I am sure that anyone would like to have one of these wedding cakes for their big day. 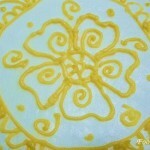 These cakes are designed with romantic ruffles, pleats or sequins to make the cake look like a wonderful piece of art. 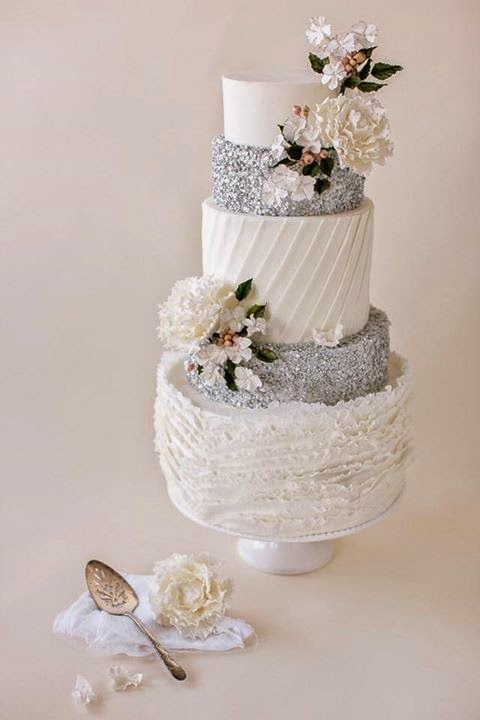 This Silver sequin and ruffled cake is a creation by Jenna Rae Cakes. It is a perfect and gorgeous cake to show how these two color combination is perfect for a wedding. Here is a gorgeous Frills and roses cake! 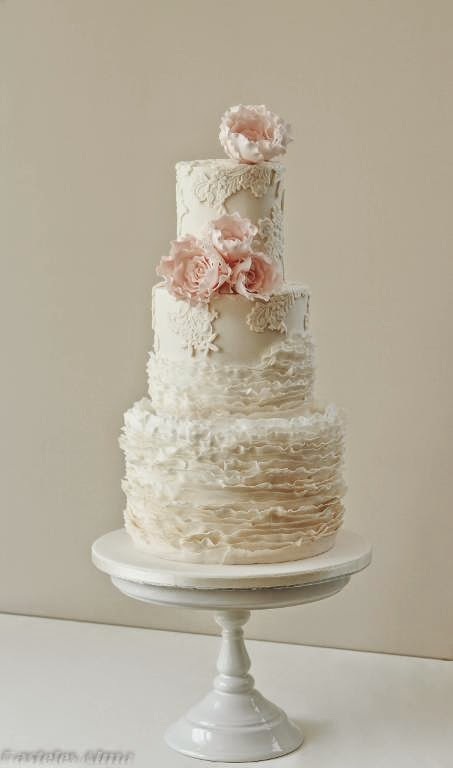 I love the delicate ruffled tier and of course the pink roses. They both add a romantic appearance to this wedding cake. 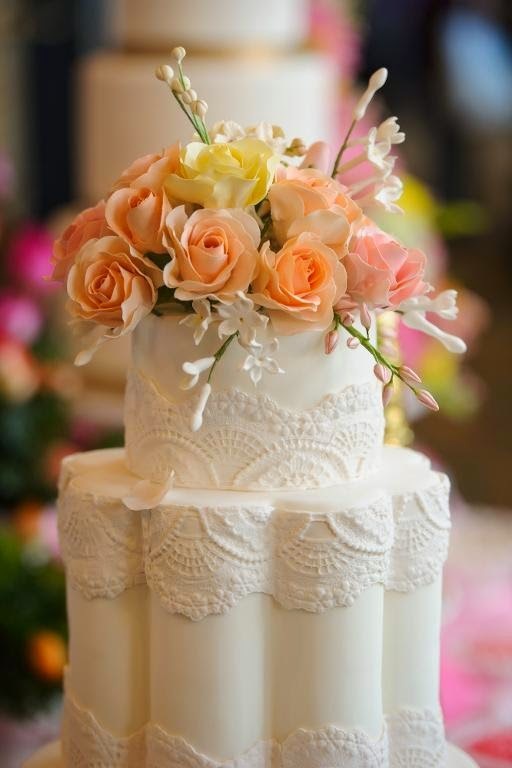 This Magnolia cake is a romantic looking wedding cake decorated with floral lace appliqué design. 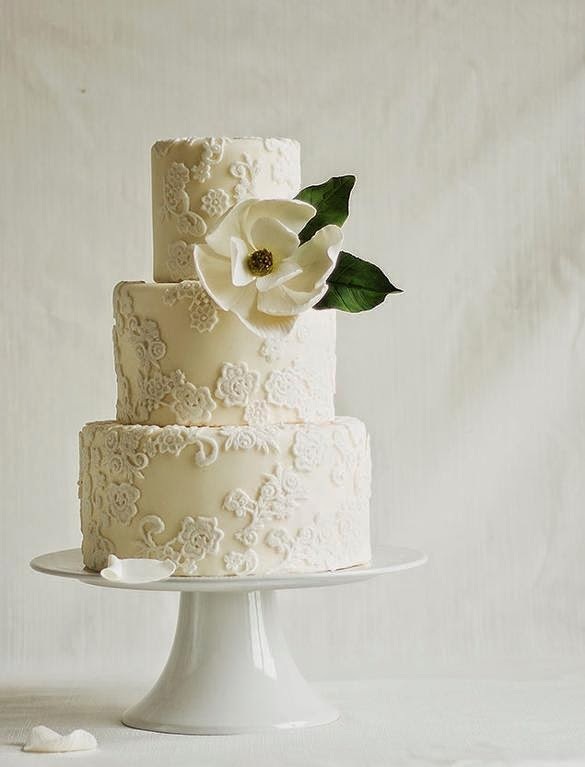 It includes a single sugar magnolia flower and that makes this wedding cake an elegant piece of art! And finally, my favorite design is this Romantic sugar flower wedding cake. Although this wedding cake is with an unusual shape, it creates a lovely centerpiece for a wedding. This Romantic sugar flower wedding cake looks gorgeous with its lace border. If you are getting ready for your dream wedding, then you’ll be able to find more wedding cake designs and tips from here. Other than the wedding cake, any bride pay more attention and time to select their wedding gown. 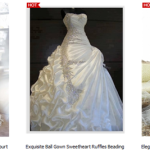 You can find affordable wedding gowns from ROSA NOVIAS easily as they provide a wide range of designs.Did you read my recent post about wedding dresses from Rosa Novias? Stunning cakes and definitely great invention and ideas for those who will be tying the knot soon. Wow – these are gorgeous cakes!